Holidaymakers seeking to swap the grey skies of Ulster for Spanish seaside sun were brought back down to earth with a bump, after bungling baggage handlers forgot to unload a plane. Just 20 minutes after taking off from the City of Derry Airport, the Ryanair flight bound for Alicante was forced to turn back. The gaffe is now under investigation by the airport, which is subsidised by Londonderry and Strabane ratepayers. Passengers on the flight, which took off on Monday evening, were stunned when the pilot announced that they would have to return to the airport because of "a problem with the luggage". It has since been confirmed by Ryanair that airport staff failed to unload the baggage after the aircraft landed from Alicante earlier. Among those left scratching his head in disbelief was Noel Kelly, who said: "We had just settled into the flight and I had just told my grandson that it would be a month before he saw rain again when the pilot said we had to turn back because there was a problem with the luggage. "That was a first for me and the air stewardess told me she had been flying for 12 years and she had never experienced it before. "It was scary enough to be honest because we had to circle around a few times and the plane landed with one hell of a thump and my wife wasn't too happy about it either." Both Ryanair and City of Derry Airport have said sorry to the passengers for the hour-long delay and disruption and an investigation into how the luggage from the incoming flight was not unloaded is under way. A spokesman for Ryanair said: "This flight from Derry to Alicante returned to Derry shortly after take-off to unload baggage from the previous flight, which the third party ground handling agent had failed to remove before take-off." "The aircraft landed normally, the baggage was removed and the flight departed to Alicante." Derry City and Strabane District independent councillor Darren O'Reilly described the incident as an embarrassment that would do little to encourage people to use the airport. He said: "It is important that ratepayers are getting value for money. "The number of flights into and out of the airport has been reduced this year but we keep getting told the airport is an asset. "We are always promoting the tourism product within council but this kind of publicity is an embarrassment and will do nothing to encourage people to use the airport." 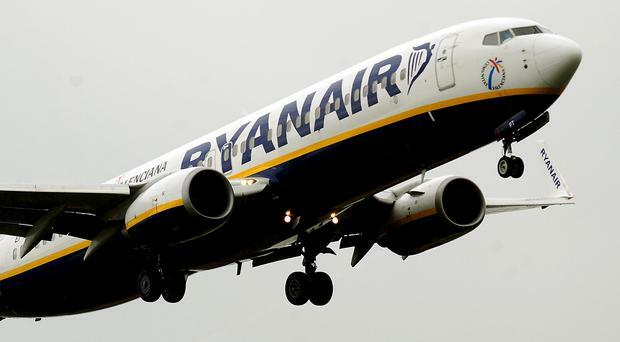 A spokeswoman for City of Derry airport said: "Ryanair flight FR9665 to Alicante departed the airport as scheduled at 17:55, however, due to a minor issue the aircraft returned to CoDA. The aircraft departed at 18:59. "The Management of City of Derry Airport would like to sincerely apologise for the inconvenience caused to passengers and can confirm that the airport is reviewing the circumstances of the incident."